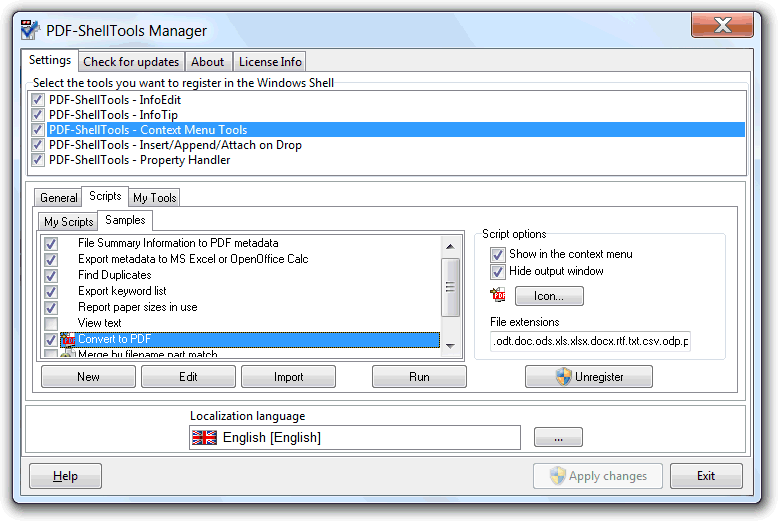 From the manager context menu tools options, "scripts" tab, click the "import" button. Check the user's guide, scripts topic, for more details. That's perfect! thank you very much! The next script will dump all the PDF annotations found in each of the scripted PDF files to a CSV file. Just import the attached myscript file to your PDF-ShellTools list of scripts, test it and let me know if you need any change. I'm looking for a way to extract highlights and comments/notes from sets of PDF files into a CSV file. Is there a way to do it in PDF-ShellTools that I might have missed, or perhaps any suggestions in this regard?